Robot Mode (FE): One thing you notice right at the get go: seldom has an Optimus Prime figure looked more like a professional swimmer. With his wide, powerful-looking upper body and long, lean lower body, Optimus looks like he could swim the length of Cybertron’s rust sea in record time. Second thing: a spitting image to the CGI character from the TV show. All other things aside, this is by far the most faithful presentation of the TV character I’ve yet seen. 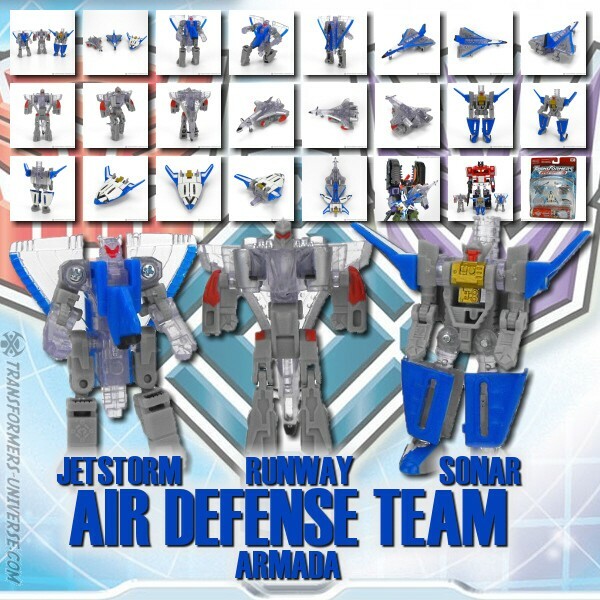 This being the Hasbro version the colouring of the figure is a tad lighter than that of the Takara version, but as far as I know there are no other differences between the two figures. Articulation is superb, leaving little room to complain. FE Optimus can pose in any number of ways and his feet are big enough to balance him easily. One thing to keep in mind, though, is that the connection where the arms peg into the wheels on the shoulders isn’t the most stable in the world, so excessive arm posing should be done carefully. Another thing I should mention: the lower parts of his shoulder plates are supposed to flip outwards, but I personally like them better folded down. You need to fold them up when he moves his arms up, of course, but otherwise I recommend leaving them as is. No complaints about the detailing. While FE Optimus doesn’t look as elaborate as some other Optimus Prime figures we’ve seen in the past, he more than makes up for it with an overall leanness and a great streamlined look and everything from the superb head sculpt right down to his feet fits together well. Also, FE Optimus is the only Prime Optimus figure so far to get the back right, showing off the angled plates with the long smoke stacks sticking out above his shoulders. Very nicely done. Finally, weapons: FE Optimus carries a black gun and a blade, both rather faithful to how they look in the TV series. They are handheld weapons, but they are designed so that they slip completely over the hand, hiding it and making it seem as if the weapons have replaced it. Not the fanciest weapons ever, but fully sufficient. So to sum it up: a great Optimus Prime robot with nothing worth complaining about.And while he is a tad taller than Prime Megatron, the difference isn’t very pronounced and I still consider the two opposing leaders fully in scale to one another. Robot Mode (RID): The first thing I noticed about RID Optimus Prime (apart from the fact that he’s quite obviously an Optimus Prime figure, of course) is the somewhat odd colour mix. He has red and blue, naturally, he’s an Optimus after all. He also sports quite a bit of unpainted grey plastic, though it’s still a breath of fresh air after the DOTM line. But then there is the translucent light blue / turquoise plastic used for the chest/shoulders and forearms. Those are for the weapon, see below, and seem a bit off to me. Not really a reason for deducting points, but personally I could have done without those. In terms of articulation and detailing there is little to complain about here. RID Optimus has all the necessary joints for pulling off any number of dynamic poses. The head sculpt is pure Optimus Prime (though I do think they overdid the height of the central crest a bit on all the various Prime Optimus figures). Stability is no issue, either, except for the chest. It doesn’t hold together all that well, as moving the arms easily results in the entire front of the chest coming loose. It easily pegs in again, but it’s a bit of a bother. Also of note: RID Optimus is a bit of a shell-former and has a pretty big rucksack on his back, which contains a good part of his vehicle mode shell. It doesn’t hinder him, but it’s still a lot of kibble. Of course by far the biggest bother of this figure is the weapons. The sword is okay, if a bit boring and not exactly show-accurate in that he can only hold it normally. But the big kicker is the gun. Yeah, the whole light-up thing needs space to work, I get that, but the weapon still ends up extremely large and unwieldy. Plus there is the rather unfortunate fact that you can’t leave it extended, so unless you jam the end under Optimus’ shoulder he ends up holding a folded-together mess of parts that doesn’t look at all like a gun. And even extended it looks... yeah, not good. The light-up effect is supposed to extend to the translucent forearms or, in case you mount it on his shoulder, the chest windows, but it needs to be really dark in order to work and isn’t really worth the trade-off in my eyes. The Laser Rods did the whole light-up weapons thing better and that was in the mid-nineties. So to sum it up: RID Optimus is a pretty good robot until you come to his weapons. If you disregard them (and replace them with better ones) then you are left with a very decent Optimus Prime robot. Comparison Robots: Both robots are clearly meant to represent the same character. FE Optimus is a bit taller and looks more streamlined thanks to the lack of back kibble, plus he enjoys the advantage of having less unpainted grey plastic parts. So while the differences in look aren’t that big, my vote here clearly goes to FE Optimus. Both robots have some stability issues, as RID Optimus’ chest tends to come loose, while FE Optimus shoulders occasionally slip out of where they’re pegged into the wheels. So no clear winner here, same goes for articulation. The big thing is the weapons, of course (which they can swap, if you want). Simply said: FE Optimus has good, if unspectacular weapons, while RID Optimus’ weapons are a waste of plastic. The gun a good deal more than the sword, but still. So the bottom line for the robot mode: FE Optimus takes the win. Alternate Mode (FE): Given how tall the robot his, the truck he transforms into is rather small by comparison. Everything folds together very well and easily snaps into place. For some reason the right door of the truck always takes quite a bit of pressure to actually stay in place, but I assume that’s just a little oddity on my particular version and not a general thing. The ensuing truck is a very streamlined vehicle and actually reminds me a bit of the racing truck mode of Energon Rodimus more than any of the many, many trucks Optimus Prime figures become. Minor point against him: the truck windshields are not the chest windows from the robot mode. Not that I care much, but some people might. Detailing on the truck is good, if a bit unspectacular. Some paint would have done the big grey grill up front good, but otherwise I can’t really complain. Prime’s weapons can be stored on the rear of the vehicle by plugging them into the trailer hitch or the two holes on either side of it. The weapons remain in full view, of course, so it looks better to leave them off, but at least you have a way of storing them. So all in all a pretty decent truck mode. Not as spectacular as some of the other trucks Optimus Primes have transformed into in the recent past, but fully sufficient for this figure. No complaints. Alternate Mode (RID): Unsurprisingly RID Optimus transforms into the same kind of red and blue truck his FE counterpart does. Everything fits together nicely and there are no visible robot bits. I’m told that RID Optimus is actually the only Prime Optimus figure so far whose robot mode chest windows are actually the truck windows, though they are actually upside down (and Prime’s head ends up underneath the hood). I think the truck could have done with a bit more length, as it looks a bit stunted when looked at from the side, but that’s pretty much my only complaint. Detailing is ok and bonus points for having a painted front grill. Something I forgot to photograph above, you can flip back the top of the vehicle to reveal holes where you can plug-in the light-up weapon. It’s supposed to light up the windshields when activated, but just like with the forearms and chest in robot mode, it needs to be really, really dark to actually be seen. And it looks stupid, too. Best forget I mentioned it. The weapons can alternatively be stored on the back, where they can peg into the trailer hitch or the two holes on either side. Looks almost as bad as putting the gun on the roof, so best leave them off. So bottom line: a decent if somewhat unspectacular truck mode that looks a bit boxy and has no good place to hide the weapons, but is otherwise fully okay. Comparison Trucks: Despite the fact that FE Optimus is a good deal taller than RID Optimus in robot mode, the trucks the two transform into are nearly the same size. FE Optimus is a bit longer and once again looks more streamlined, while RID Optimus looks a bit boxier. Neither truck has a great way of storing the robot’s weapons. In terms of detailing they don’t differ all that much, either, though surprisingly it’s RID Optimus who has less visible unpainted grey plastic parts in this mode. Still, I’ll have to give the edge to FE Optimus here, too. His truck mode just looks more wholesome and less boxy than the RID version. It’s not nearly as clear a win as in robot mode, but still. Transformation: Despite their similar appearances, the two robots transform somewhat differently, at least as far as the upper body / truck cab goes. For starters there is the fact that RID Optimus actually has ‘real’ chest windows (meaning they are the exact same windows he has in truck mode, though they are upside down), while FE Optimus has fake ones (they disappear under the hood in truck mode) with the actual truck windows hidden underneath. Considering that his chest in robot mode is much wider than the driver’s cabin of his truck mode, that was probably the only solution. Without going into too much detail here, let me just say that neither transformation is particularly difficult, but they’re not the easiest, either. I would have expected RID Optimus, whose target audience is somewhat younger, to be the easier of the two, but I can’t really say that one is harder than the other, they’re just different. Anyway, RID Optimus is more of a shell-former than FE Optimus, seeing as about two thirds of the truck chassis hangs off his back in robot mode (it’s about half for FE Optimus, but it’s folded together better). So bottom line for the transformation: different, but neither figure really has much of a lead over the other in terms of complexity. Remarks: I’ve talked about the whole mess that was the release (or non-release in many cases) of the First Edition Prime figures elsewhere, so I’m not going to rehash. Suffice to say that getting your hands on an RID Optimus is far, far easier and less expensive than finding a First Edition Optimus, be it the Hasbro or Takara version (who differ in colouring only and only slightly). By that criteria RID Optimus is, of course, ahead by leaps and bounds, as you can probably get two or three of him for the price of one FE Optimus. One should add, though, that this is pretty much the only category RID Optimus beats out his First Edition predecessor. Pretty much every other way you look at it, FE Optimus is the superior figure. Even factoring in that RID Optimus is meant for a younger target group doesn’t make that much of a difference, as the figure is neither sturdier nor easier to transform by any significant margin. Now don’t get me wrong, I’m not saying RID Optimus is a bad figure. He’s good and given better weapons he’d be even better, but he simply doesn’t compare to the far, far superior First Edition figure as far as I’m concerned. So my recommendation here is quite straightforward: unless you’re really strapped for cash, your choice for Prime Optimus Prime should be the First Edition version.